Here at Air Con Sunshine Coast, we love a bit of family time when we are not working hard installing the best air conditioning units in our client’s homes and businesses, by our highly trained aircon team. And where better to have fun with the family than at Sea life in Mooloolaba, Queensland. Located just 1 hour north of Brisbane, this amazing centre has so much to do and see for the whole family to enjoy, including 11 themed zones in which visitors will have the opportunity to get up close to a wide variety of sea life. These zones include Jellyfish Kingdom, Lower Seal Island, Seahorse Sanctuary, brand new Finding Dory, Coastal Wreck, Billabongs, Tidal touch pools, Octonaults, Freshwater Streams, Ocean Tunnel and Shipwreck Shores indoor playground. Some of the wonderful sea life you should expect to see during your visit include 8 species of shark, rays, reef fish, sea stars, sea cucumbers, sawfish, many species of tropical fish, coral reefs, eels, octopus, jellyfish, seahorses, freshwater crocodile, giant Barramundi, and seals. And for those who would relish a more personal encounter can enjoy a truly magical experience at Seal Island, where you can meet and interact with one of the rescued resident seals, or even jump in the water for a unique swim experience to remember. Alternatively, if you have a keen interest in turtles, why not embark on a behind the scenes tour where you will learn all about what happens behind the scenes at the turtle rehabilitation area. With a variety of tickets available to include different activities, there is something to suit everyone, and do not forget to check their website at https://www.underwaterworld.com.au for information on various events held throughout the year, including amazing experiences during school holiday dates. 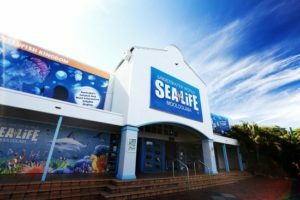 Conservation and education play a very important role at the Sea life Centre in Mooloolaba, where commitment to protecting animals and their habitats, and educating visitors to do the same is at the forefront. There are also feeds and talks throughout the day for you to learn more about all the incredible creatures at the centre. With so much to experience in one day, you are guaranteed to need a rest from all the excitement and re-fuel at the Octopus Garden Café. Whether you are craving a coffee and some delicious cake, ice cream for the kids or you are hungry for a heartier meal, this lovely café has all you need to satisfy the whole family. Also, be sure to stop in at the gift shop on your journey, which offers an extensive range of souvenirs to purchase as a reminder of your fabulous day. So, with all this excitement, unique experiences, behind the scenes tours, education, conservation programmes, up close and personal encounters with an array of different sea life, play zone, delicious food and gifts for all the family and much more… what are you waiting for! 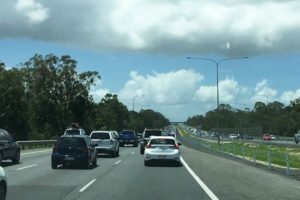 To get to Sea life, Mooloolaba, if you are travelling by car from Brisbane, drive North up the Bruce highway, take the exit after the Ettamogah Pub and follow signs to Mooloolaba. The sea life centre is at Parkyn Parade. Alternatively, if you are traveling by public transport, Sunbus operates a regular service which runs from Noosa to Caloundra. Visit www.sunbus.com.au for more information. Or the best way to travel in comfort directly to sea life is to take a Greyhound Australia Coach. Visit www.greyhound.com.au for more information. Queensland Rail Citytrain also offers a service with connecting bus, operating between the Gold Coast, Suncoast and Brisbane stations at Lansborough and Nambour. Visit www.translink.com.au for more information. If you are considering staying nearby Sea life in Mooloolaba, there are a wide variety of options depending on your requirements and budget. Ranging from around $50 for a more basic stay to around $220 for a more luxurious experience. There should be something to suit everyone’s needs. While you’re nearby, come into our workshop in Caloundra and say hi to meet our friendly aircon team and to browse the professional services that we provide.